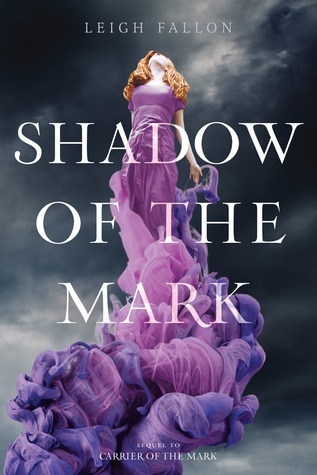 The Best Books Ever: Shadow of the Mark Tour: Review and Giveaway! 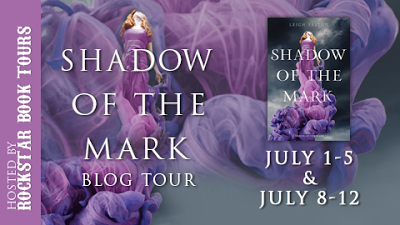 Shadow of the Mark Tour: Review and Giveaway! Ok, so I am going to lay it out there- the good, not so great, and the wonderful. First of all, let me clear the air. I know that in the first book in this series, there was a ton of hoopla about this series being a copycat of Twilight. This series has absolutely no resemblance to the Twilight series-especially now that the plot has been developed further in the second book. I have to say, I enjoyed this second book even more than the first (and I really enjoyed Carrier!). I think the author's writing style has really matured and developed between the two. Shadow of the Mark is a solid second book in this trilogy. While it had a few of the hangups of a middle book, Shadow took enough strange and unexpected turns that I felt surprised and completely engaged in the story. Fans of the series will enjoy this second book, and those who didn't enjoy the first, may find redemption in this second installment. I've been hearing such awesome things about this series. I've had it on my Goodreads TBR shelf for a while now. This book looks so amazing. I can't wait to read it! Gorgeous cover! The book sounds awesome. Thanks for the giveaway!